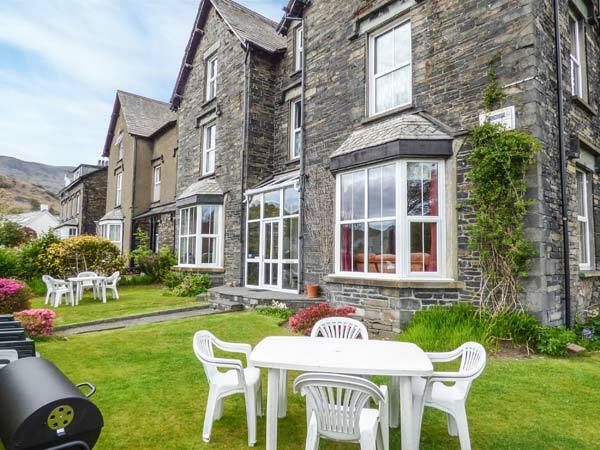 Shepherds Villa is a semi-detached Victorian House situated in the ever-popular village of Coniston, nestling below a dramatic hill known as 'The Old Man of Coniston'. Set out over four floors, Shepherds Villa has nine bedroom sleeping twenty four people along with eight bathrooms, giving a feeling of space. 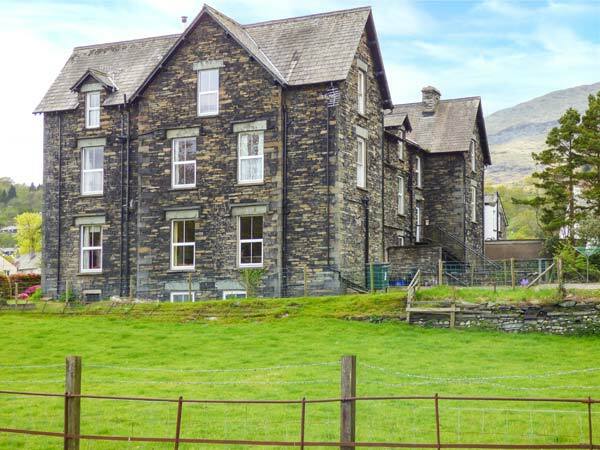 The property offers comfortable accommodation and boasts two sitting rooms, and a games room. A lovely mature garden and rear patio provide an ideal area for eating outside and relaxing. Shepherds Villa is a comfortable home for holidays all year round. Gas central heating with open fire and electric fire. Range cooker with double electric oven, 8-ring gas hob, two microwaves, three fridges, freezer, washing machine, tumble dryer, dishwasher, 4 x TVs with Freeview, DVD, CD, WiFi, selection of books and games. Fuel, power and starter pack (winter only) for fire inc. in rent. Off road parking for 10 cars. Lawned garden with furniture and BBQ. Note: The use of fireworks is prohibited at this property. Note: No hen/stag or similar. Note: The owner provides 30 bath towels.